...for lots of Euro cross racing! Major races every other day between now and New Year's. The time change means most races start 8am CST or thereabouts. Find streams & details on cyclingfans.com. At the very beginning of this video of highlights from the Namur world cup, you can see Katie Compton trying to get her chain unlodged from between her frame and crank. On the starting sprint, she shifted from her big ring to small and, in the process, lost her race. It took her about a minute to get started again, but she still ended up third. 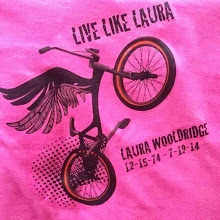 If it were Andy Schleck, he'd still be standing there. 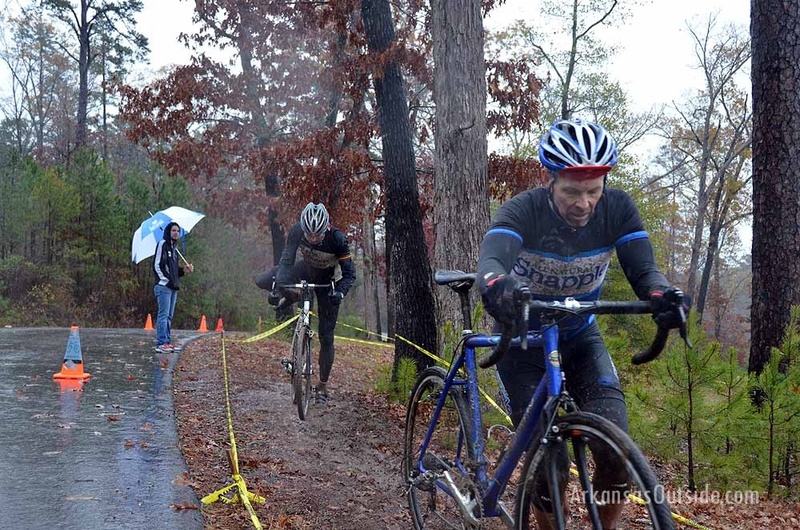 On a nasty, cold, muddy course, it came down to a group of five into the bell lap. 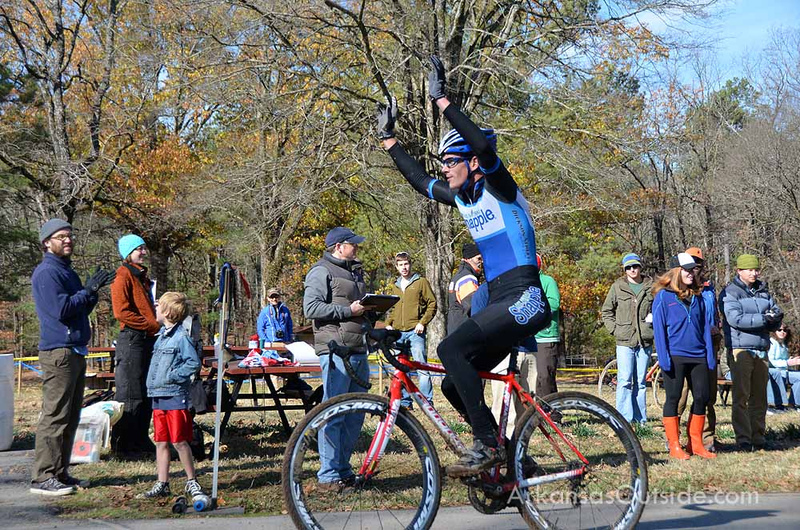 With one race left in the inaugural season of the Arkansas Super-Prestige, the points races are hotter than ever. 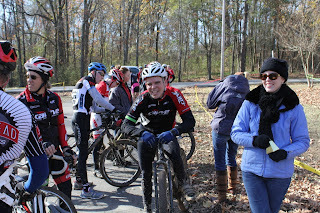 JBar Cycling has posted a write-up of States, so check it out! The results are clickable off to the right, in the ASP race class format. Points will be updated in the next few days. Some of the points races are red hot, with one race to go! Remember that season-ending totals will count only the best nine races per person. 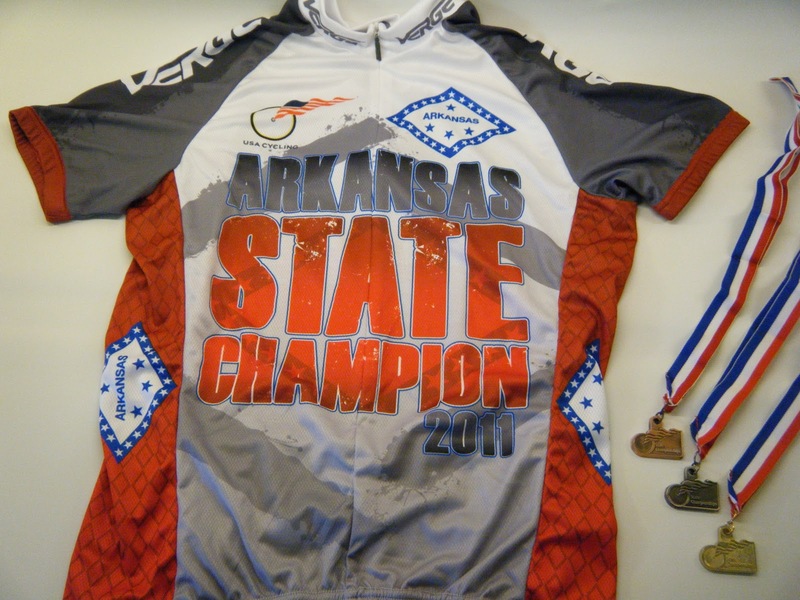 They've gotten a new address, ArkansasOutside.com, and have a great new post up on Sunday's state championship race HERE. There are a bunch of other great photos posted up on the Arkansas Super-Prestige page on Facebook, so go check 'em out. 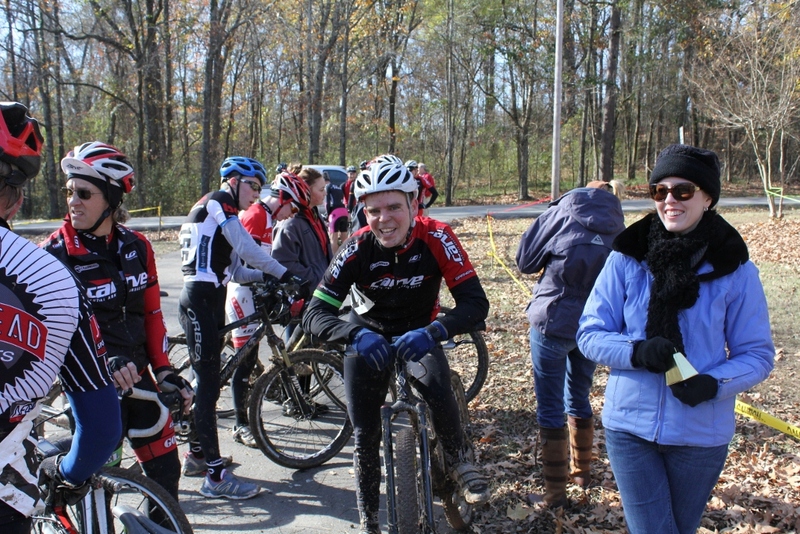 It was a stellar day of racing. Results and points are being updated as you read this. Keep tuned, they'll be out in a day or two. And mark your new 2012 calendar for the series finale on January 15. Details on that race will be forthcoming. The season ain't over yet! I forgot to link to THIS write-up of the Turkey Burn. 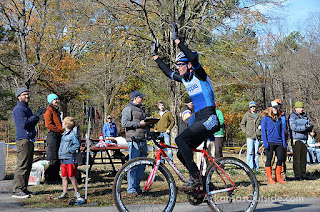 JBar is a great supporter of all central Arkansas cycling, including cross! I think we're finally getting a handle on the one-dayers, license-applied-fors, and new licensees, but as always, if you see something weird, please let us know via stephen erickson temporary (no spaces) at gmail dot com. We got some points races that are heating up in the Battle for the Bells. States are less than a week away! I have absolutely no idea how this came about, the level of coverage, or how rain-shy they'll be, but KARK is scheduled to live stream Jingle Bell Cross HERE. There is a tab for Cycling that leads you to the coverage. Now...don't let this keep you away from Boyle Park tomorrow! There is a spacious covered pavilion on high ground where you can enjoy all the action without getting rained on.